The Starman Vase is part of the larger Cosmic Diner Set, winner of the Wallpaper’s Design Award 2015. 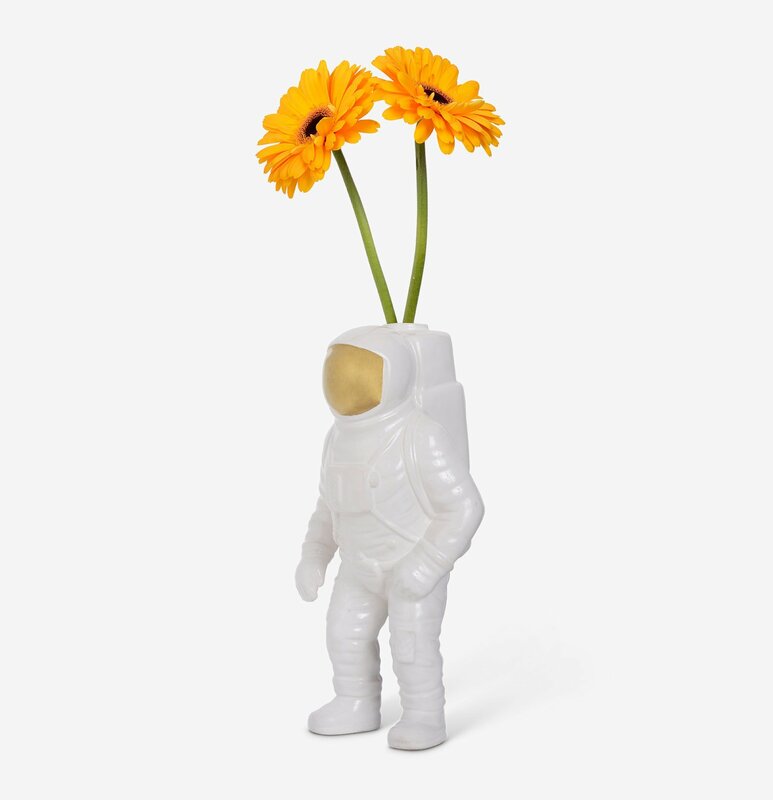 Created in a collaboration between two iconic Italian brands, Diesel and Seletti, the set celebrates the 50th anniversary of the moon landing in a truly special way. 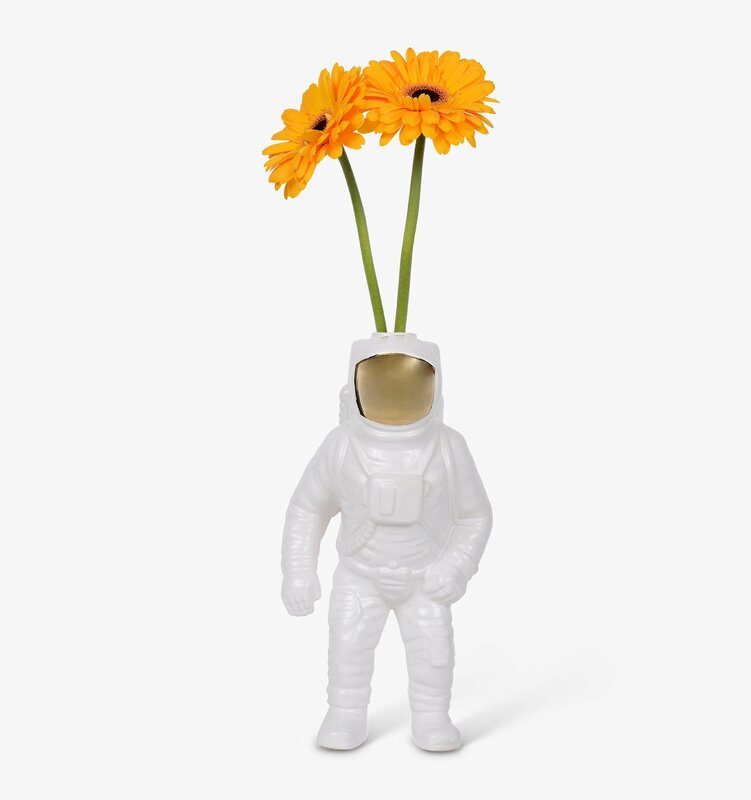 Made from porcelain, the Starman vase is designed in the shape of an astronaut, with details added on the costume for a more realistic look. A reflective visor adds a creative accent to the design, while the backpack features an opening for flowers; the effect is reminiscent of a contemporary art piece. Whether used on its own or as part of the complete set, the vase is a creative addition to any modern home.